Ginger isn't the most common ingredient for making drinks, but it's actually a perfect addition to beverages, especially homemade teas. During the colder months, ginger can be very beneficial to the body since it's believed to help ward off the flu and common cold. This warming and aromatic tea is full of delicious flavors. Paired alongside apples, the ginger tea makes for a piquant drink that will leave you hydrated and fill your senses with a delightful calmness. 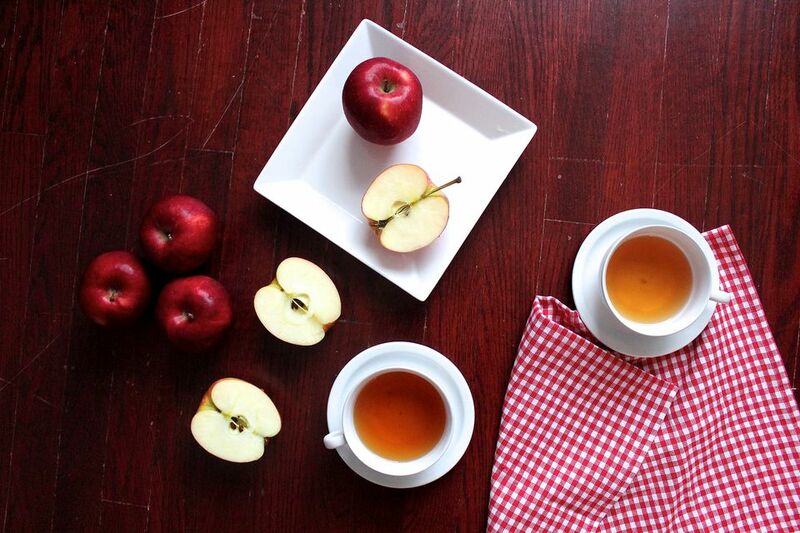 Each warming sip has the sweetness of apples and honey, and the spiciness of ginger tingles the back of the tongue. Ginger can be a little overpowering, but you can adjust the sweetness for a less gingery tea. There are only four ingredients needed -- which you likely already have in your kitchen. Additionally, these ingredients are available year-round so you can enjoy the tea any time of the year. You can even adapt the recipe for the warmer weather and serve it over ice cubes. Tip: Use organic apples and ginger if possible since the skin will be left intact. However, if you are unable to use organic then make sure both the apples and ginger are thoroughly cleansed. Cut the apples into large wedges but discard the core and stem, the ginger should be left unpeeled but cut into small pieces. Place all of the ingredients, except the sweetener, into a pot then cover and simmer under medium heat until it comes to a boil. After it boils, turn the heat to low and leave covered. Continue to simmer for another 10 to 15 minutes. Add the honey (or sweetener of choice) and turn the heat off. Allow it to sit for about 5 minutes before serving. Taste and adjust the sweetener if desired. You can also sprinkle some ground cinnamon into each cup. Serve warm or chilled over ice cubes in the warmer months. Once the tea has come to room temperature, it may be stored in the refrigerator until ready to drink. It can also be reheated. The tea will keep in your refrigerator for up to one week.